We are a Swiss- Mongolian couple living now in Switzerland and my husband Alexander HARTIG lived 5 years in Mongolia. From his childhood he was fascinated by the Central Asian legends and since then authentic nomadism called him into its deep steppes. My grandparents were herders in the Altai mountains and I was born there and grew up with mysterious memories about their values. So it is very important to me that Mongolians keep their nomadic way of life and original values. For 10 years we have been working with the “Mongolian Tribal Art Group” freelance artists, felt making cooperatives and yak wool producing communities. And also after engaging in 18 different NGOs and 12 religious groups during my studies in Mongolia I have decided to work with local nomad herder families and do my best to re-value the nomadic culture. Mongolia is important to us and we ensure all products are sourced directly and trade carried out is fair. We are supporting nomads by buying their yak down for a fair price without any middle person and it helps us to source the best quality wool products for both Mongolians and worldwide wool lovers. Following our success in helping the yak herders, we decided to expand to other local traditional items. 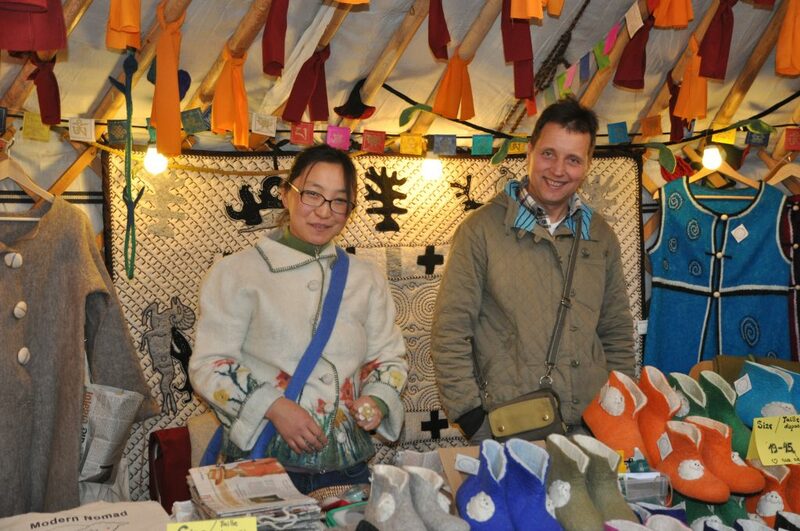 Therefore Mongolian Handicrafts was born. We continue to provide fair prices in trade for good quality crafted items.